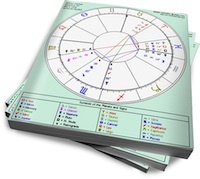 Moon in Cancer will need more cuddles than Sun in Aquarius is comfortable providing, but Aquarius’ fixed determination can be reassuring for security-loving Cancer. The main challenge will be reconciling Cancer’s emotionalism with Aquarius’ detachment. Sun in Aquarius is an excellent friend, because he is able to stand back and appreciate what everyone has to offer. The word “friend” is crucial for anyone seeking to partner up with him, because in many ways he approaches love relationships as friendships. Sun in Aquarius is intellectually aware of the difference between lovers and friends, but is unlikely to make his lover the center of his universe. He is, however, intensely loyal. He’ll commit to the right person: someone who respects his freedom and doesn’t get upset when he responds to emotional scenes with pleasant rationality. Moon in Cancer needs to express her emotions. As obvious as this sounds, her rapidly cycling moods (from nurturing mother to needy child, and back again) require a healthy outlet and understanding partner. Cool and collected she’s not: Moon in Cancer feels everything, and her coping mechanism involves taking care of her partner. She is most secure when she can play the role of mother, but at the same time, she requires significant nurturing for herself. Shadow Cancer is the vampiric Mother-Child, feeding off her partner’s need for her. Moon in Cancer will feel frustrated by Aquarius’ lack of response to her efforts to care for him. He’ll be friendly and polite, but will ultimately find her suffocating. However, if there are sufficient contacts between them to encourage a relationship, he’ll tolerate her efforts, remaining unruffled as she sulks, throws a tantrum and then rebounds with hugs and soup. Eventually, Moon in Cancer will come to rely on Aquarius’ unflagging loyalty (if he loves her, he’s not going anywhere). Sun in Aquarius will learn to appreciate his partner’s emotional perspective, because he has enough insight to realize that feeling on an irrational level is the difference between observing life and living it.